"Hello, lovelies! 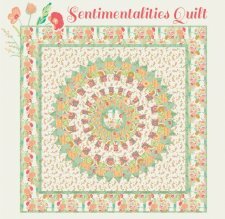 though I’ve shared my latest fabric collection reminisce with you before, today I want to highlight one of my favorite projects from the collection: the Sentimentalities quilt. My mom, Maxine Ramey and I worked together to design it and she pieced and quilted it for me. 1. The quality or condition of being excessively or affectedly sentimental. 2. A sentimental idea or an expression of it. 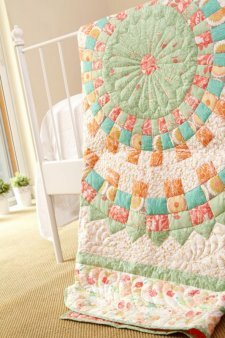 "It’s also a free downloadable pattern! you can download the pdf pattern (below) from Art Gallery Fabrics. The Dresdon plate in the middle is easier than it looks (I promise!) and you’ll have the quilt top together in no time." Editor's Note: The Reminisce collection is almost a year old, so you may have trouble finding it. 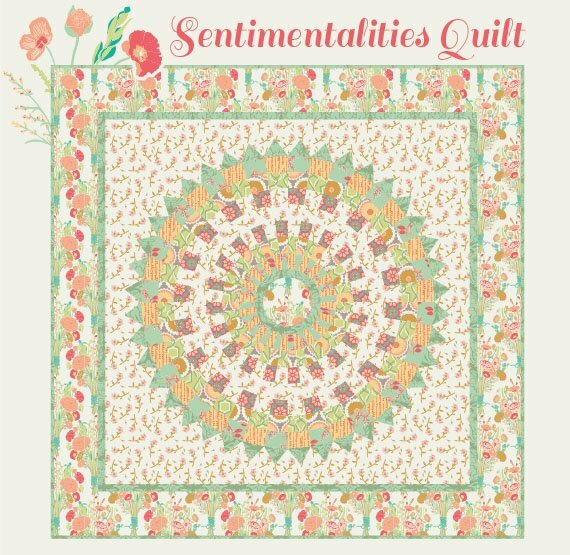 We are sure Bonnie would love to see your finished quilt if you choose a different colorway.